As much as you'd love to be with your kids around the clock, it's not always feasible. So when you must leave your child in someone else's care, you want to make sure they're safe. 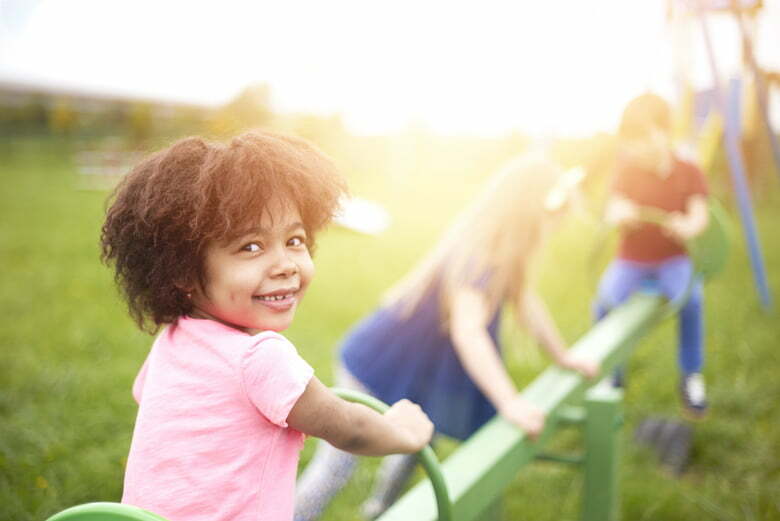 Whether you choose a day care facility or an in-home day care, the best advice is to be proactive and question the provider's safety procedures, according to Lynette Fraga, executive director of Child Care Aware. We asked several experts — including Fraga; Dr. Danette Glassy, a pediatrician and chair of the American Academy of Pediatrics Section on Early Education and Child Care; Carolyn Stolov, family-life expert at Care.com; and Dr. Karen Sheehan, medical director at the Injury Free Coalition for Kids of Chicago — to share their thoughts about the safety issues that day care providers and parents should be on the lookout for. Here are 10 of the biggest safety concerns when it comes to group care and ways parents and caregivers can address them. Anytime you have a group of kids without enough adult supervision, you're asking for trouble. "Infants and toddlers should be in sight at all times, and young children should be supervised at all times," says Glassy. Ask about the center's group size and caregiver-to-child ratio. Find out how teachers transition kids from one area to another. Ask: How do they handle name and face checks to make sure everyone is accounted for? Drop in or volunteer from time-to-time to check out how things are managed. Keep a low child-to-adult ratio. Child Care Aware suggests that the caregiver-to-child ratio should be at least 1:3 for infants and young toddlers, 1:6 for older toddlers and 1:9 for preschool-aged kids. The single best way to improve safety and prevent injury is to have sound health and safety policies that all teachers and caregivers are taught and follow, says Glassy. Talk to the director about the center's employee training policy. Ask to see copies of the staff's first aid and CPR cards. Watch to make sure the staff is following the health and safety rules. Make sure there is a regular training plan for staff. Train staff in pediatric CPR and first-aid. Ensure someone is always on duty with CPR and first-aid certification. When medications are given carelessly or improperly dosed, poisoning can happen. Give children medication at home. If this is not possible, bring medication to your provider in its original container with dosage instructions. Remind the day care staff about the doses regularly. Talk to the staff about your child's allergies. Find out where they keep this information and supplies like EpiPens. Have written parental authorization and instructions for the administration of medicine. Train staff in proper medication storage, handling and administration — and review it regularly. Make sure the parent-recommended dosage matches the dosage on the container. Watch for any reactions and have an emergency plan should one occur. Take extra safety precautions by having a witness present when administering medicine. Glassy notes that while the rate of SIDS has been dropping at home, it has been increasing in child care. Ask the day care about its safe sleep practices and policies. According to Child Care Aware, accidental poisoning is a leading cause of injury and death among young children. Ask where medicines and cleaning products are stored and if they are locked. Store labeled medicines, household cleaning products and all hazardous substances in locked, childproof cabinets. Never store food and cleaning supplies together. According to Sheehan, there aren't many rigorous standards in place for nursery products, and manufacturers are not required to test their products for safety. Additionally, the most common place kids get hurt is on the playground. Make sure play areas are clean and in good condition. Ask to see a provider's inspection reports. Discard any toys that are damaged or in non-working order. Keep track of inventory and stay current on children's product recalls. Keep play areas for younger and older children separate and securely gated or fenced. Keep play areas free of tripping and choking hazards. Keep playground surfaces and equipment in good condition and inspect often. Day care centers can be germ factories. "Providers should have proper cleaning, sanitizing and disinfecting policies and practices in place to prevent the transmission of illness," says Glassy. Keep their children up-to-date on immunizations. Keep kids home when they are sick. Make sure the staff and children are current on immunizations. Ensure the staff regularly washes their hands — before and after handling food, changing diapers, and using the restroom. Make sure children wash their hands often. Keep diaper changing tables sanitized. Keep facilities, toys and equipment washed and disinfected daily. Food-borne illnesses can result from improper handling of food. Centers should also be well-versed on proper handling and storage of breast milk and formula for their youngest clients. Check that the facility properly refrigerates all perishable food. If your child has food allergies, ask about what safeguards are in place to prevent accidental cross-contamination. Ask about microwaving policies — kids can get burned easily, so you need to know what's allowed. Find out about preventative measures, like labeling, so that a child isn't accidentally fed another's breast milk or food. Keep all cooking surfaces, equipment and utensils clean. Keep food covered and stored at least six inches from the floor. Cook all food properly and allow it to cool before serving. Make sure food is cut up into bite-size pieces to prevent choking. Create plans to that the right food goes to the right child. Every day care facility should have an emergency plan in place that covers everything from health-related accidents to natural disasters, fire and, unfortunately, violence. Discuss emergency plans with your provider and make sure everyone knows what they are. Ask how often emergency plans are updated and practiced. View the center's log that keeps track of drills. Observe a fire drill to see that it's done effectively. Are teachers keeping track of all children? Ask what number you should call in case of emergency. Have fire extinguishers and smoke detectors regularly inspected. Practice fire drills and emergency procedures every month — and keep a log of them. Keep doors locked and require identification to enter. Have an emergency plan that includes evacuation procedures and make sure staff and parents are aware of it. Set up a plan in case you have to move to a different location — and convey that to parents. Practice drills for emergencies with staff and children. Keep a weather radio and emergency supply kit on hand. You should always make sure that the day care is licensed by the state, but these licenses don't necessarily guarantee that staff and other employees have undergone background checks. Fraga reports that only 13 states require comprehensive background checks for staff in child care centers, and only 11 states require them for individuals who have home child care businesses. Check a day care's track record through government agencies or conduct their own background checks on the day care center or provider. Ask the director of the center what precautions are taken to ensure kids are safe from abuse. Make sure everyone in contact with children has had an extensive background and criminal screening. Keep at least two adults with each group of children most of the time. Learn more about background checks. Nothing is more important than making sure your child is safe and happy. If you're happy, your child will be, too. While it's important to investigate the above problem areas, always do a gut check, says Fraga. "Even if a facility is licensed, accredited or recommended, if it doesn't feel right, keep looking." Ilene Jacobs is a freelance writer living in Dallas. You can find some of her work here.